As one half of Oakland duo Tune-Yards, Nate Brenner is well-seasoned at making prismatic noise-pop with a conscience. 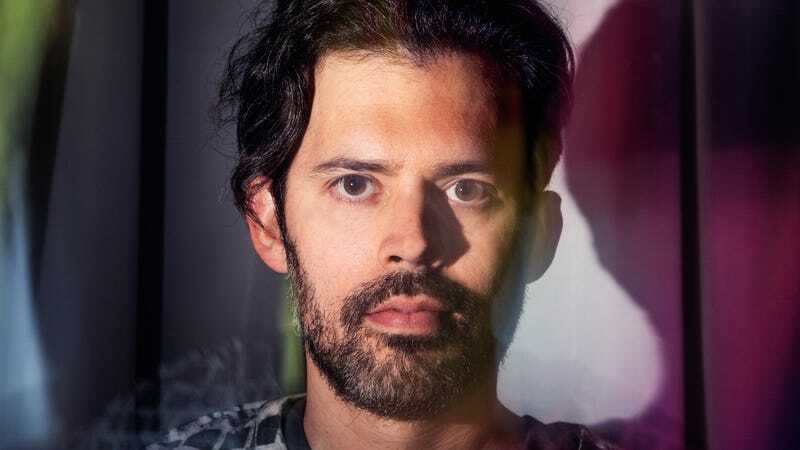 But where his work with Merrill Garbus for the last near-decade has been more extroverted and outspoken, Brenner’s solo project, Naytronix, has largely existed behind a cool psych haze. That changes with upcoming album Air, on which Brenner’s sound emerges bolder than ever, with imaginative arrangements and lyrics reflecting on the inherent strangeness and contradictions of being human. Though it follows earlier release “Human,” new song “Come Back” is the album’s first official single, a playful collage of psych-pop textures with melancholy undertones—and a few unexpected turns. Pairing an effervescent rhythm (driven by a signature Brenner bass line) with soothing melodies and calls to “come back” to center, the Indiana native achieves that tension masterfully. And it’s all brought to life in a surreal video by artist Mad Conway, in which colorful glass shatters then reconstitutes in reverse or disappears into kaleidoscopic animations.